Last year, during Black History Month, we highlighted a number of groups and individuals working toward greater representation of black people in the maker movement. Many of these are still active and relevant, so if you missed our list last year, be sure to have a look. Diversity in the maker movement is still something we’re very passionate at MakerBridge, so we wanted to continue this tradition and draw attention to even more people and groups working to support black makers and innovators. Of course, same as last year, this last is by no means comprehensive, and we would love to hear about resources we may have missed! Leave them below in the comments or tweet at us! African-American Women in Technology – AAWIT is an organization dedicated to supporting African-American women and helping to advance their technology-based careers and personal development. Blacks in Technology – BIT’s mission is, as they put it, “stomping the divide.” In other words, they work toward changing the perception of black people in the technology community, encouraging their achievements and participation in the field. CodeNow – Ayla mentioned this organization before on our blog, but they’re worth talking about again. CodeNow focuses on teaching computer science to underrepresented high school students, such as women and people of color. iUrbanTeen – This organzation’s target demographic is male youth of color–including African American, Latino, and Native American young men–but it strives to be inclusive of all non-traditional STEM learners, including young women. iUrbanTeen provide mentoring, training, STEM industry tours, internships, summits, and more to help youth of color succeed in STEM fields. #YesWeCode – #YesWeCode is an initiative aiming to help low-opportunity youth learn coding and technology skills in order to become high-level computer programmers. Last November, they hosted MBKHack, My Brother’s Keeper Hackathon. 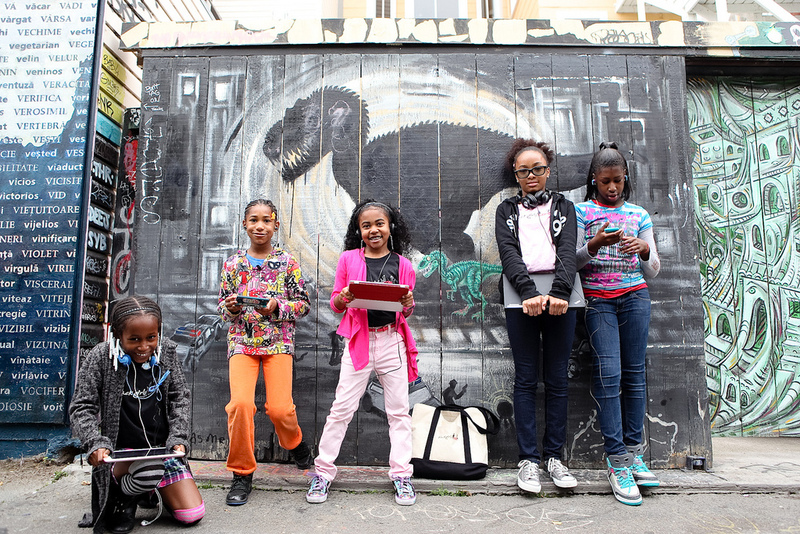 Black Girls Code Hackathons – Black Girls Code, an organization we’ve talked about before, sponsors a series of hackathons; they held a total of three last summer. The hackathons are open to girls of all experience levels and give attendees the chance to work with mentors and with each other on teams. Diaspora Day of Civic Hacking – Both a global day of advocacy and a hackathon, the DDCH this year was headquartered in Nairobi, Kenya and had participating locations in Lagos, Nigeria; Accra, Ghana; Washington, DC; Oakland, CA; and Atlanta, GA. The DDCH works to bring together people working to combat social issues and technical challenges that affect a number of organizations supporting Diaspora communities. HBCU Hacks – This is a series of hackathons aimed at students at HBCU (Historically Black Colleges and Universities) presented by Black Founders, an organization working to increase the number of black entrepreneurs in technology. These hackathons give students at HBCU the chance to come together to share and improve their coding and design skills. Women of Color STEM Conference – Planned this year for October in Detroit, the Women of Color STEM Conference is an opportunity for professionals and students to network, find mentors, learn from leaders in the field, and attend seminars to help their professional growth. Black DIY: Making and Sustaining – On her blog Lifestyle30, Kellea Tibbs writes extensively about black DIY, including interviewing a number of black women who design.